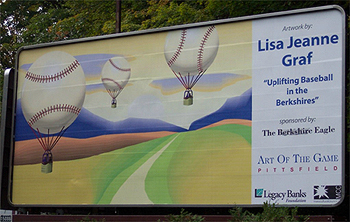 Billboards were placed throughout Berkshire County to capture the "Spirit of 1791" the spirit of the first baseball games played near Park Square, Pittsfield, MA, in 1791 - a spirit that continues to the present in their parks and backyard diamonds. 12 designs were chosen from 98 submissions. 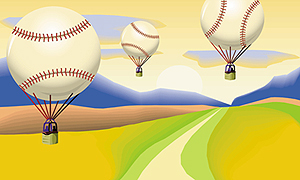 My design Uplifting Baseball in the Berkshires was created to express the highs that come from a good game of baseball.